What is the god of our culture and our nation? Certainly our God is the LORD, Yahweh, King of Israel and Redeemer of the lost. He is King of all nations. But he is not necessarily God of our nation. 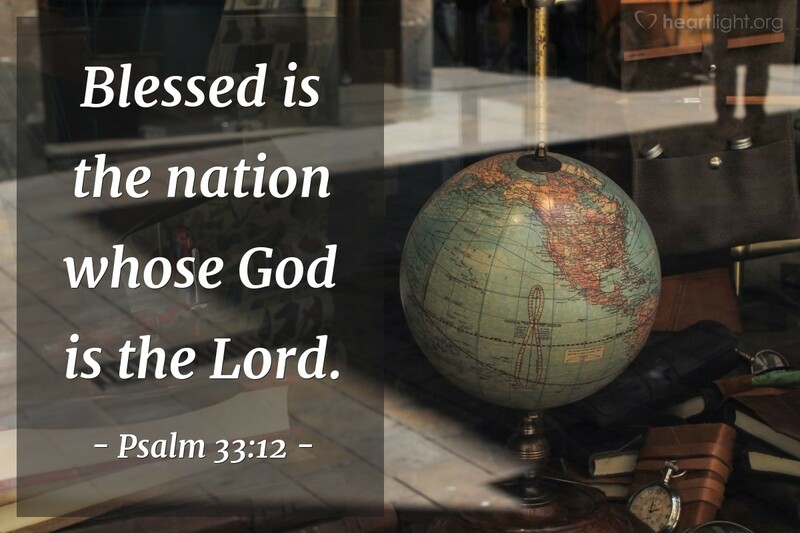 We are far from "one nation under God." But we can pray for revival to sweep our land. We can repent for not placing him first in our own lives. He has promised to respond if we will humble ourselves and seek him. Let's do that beginning today! LORD, God of the heavens and Father of all nations, I humble myself before you today, acknowledging my own sin and the sin of my people. I pray that you will revive us by the power of your Word and the sanctifying power of your Spirit. Bring renewal and revival to our land. In the name of Jesus and by the power of the Spirit I ask this. Amen.